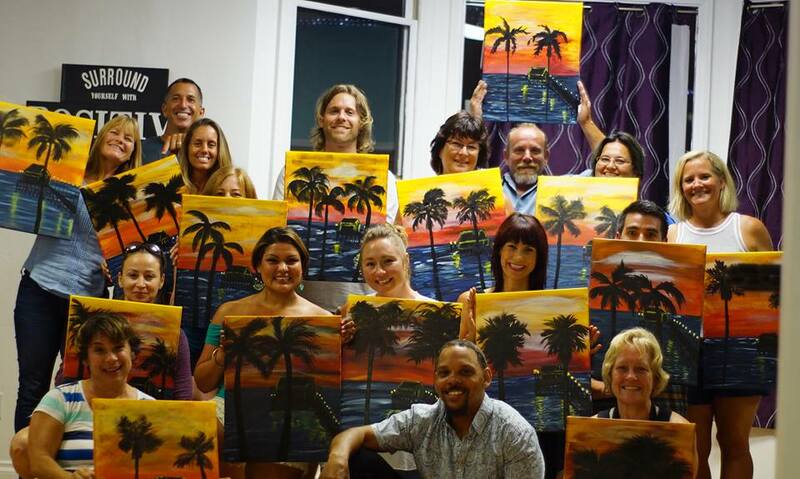 The atmosphere of a Paint Party event is a mixture of instruction, challenge, fun mistakes, wine or beer tasting, laughter, and accomplishment. It's just one more thing to add to your list of date nights, friends outings, team building with coworkers, bachelorette pre-nights, baby showers, birthdays, or just plain old solo peaceful time. You have a choice of attending an event at one of our Oceanside studio locations, or catching a public event at one of the local breweries or wineries. Crowds of all sorts come out to the local venues where Timothy, or one of his artists, are scheduled to host an event. Others organize their own House Party Events right in the comfort of their own home, neighborhood common area, or Team Building at the Company Office. The paintings are of easy to medium difficulty that typically take a couple of hours to complete. The artists instruct by painting their own piece up front while showing tricks and techniques, and strolling around offering a hand where it may be needed. 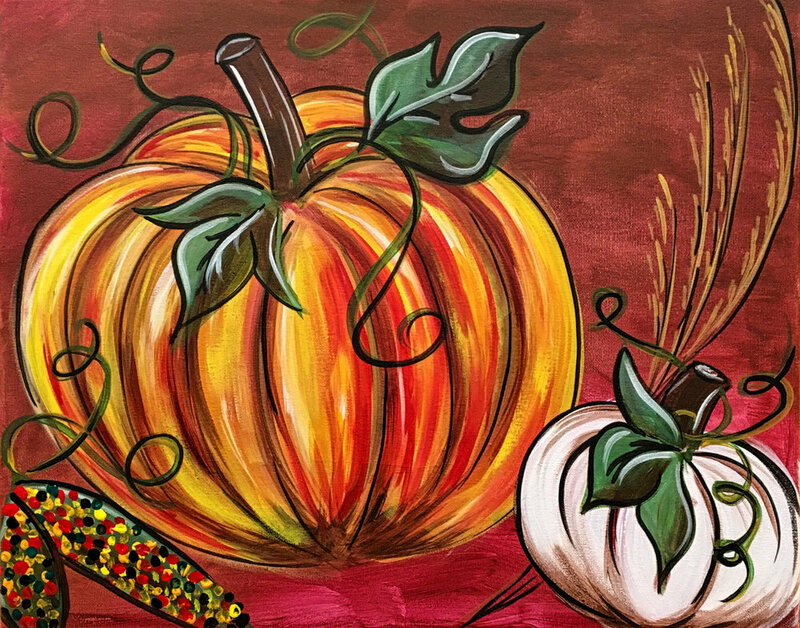 Class members find it customary to include their favorite beverages and snacks while painting and listening to music of all genres and eras. 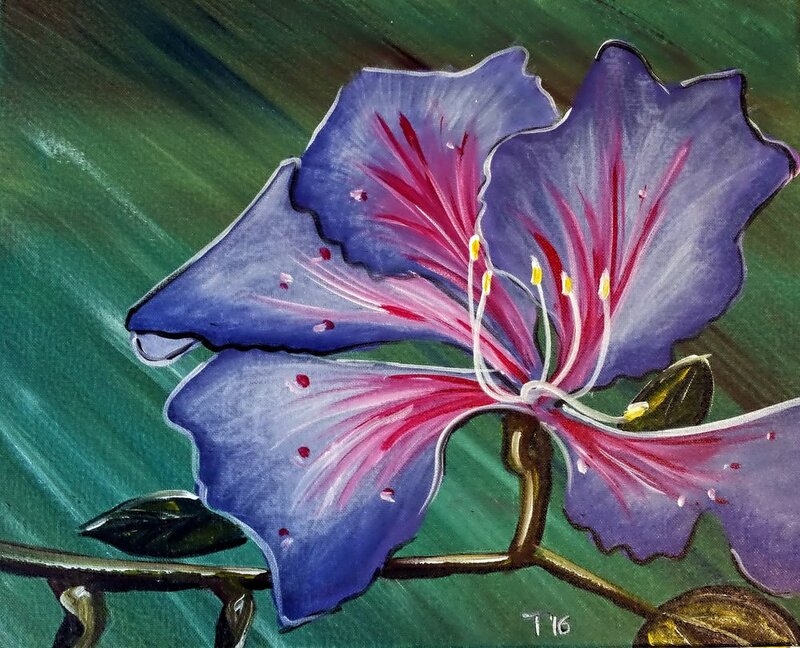 Contact us anytime to arrange your first, or repeat, Paint & Sip experience. Just drop a few lines on the contact form at the bottom of this page to work out your details today! Schedule Your Own Paint Party With Us Today! Private Parties have a minimum headcount of 10 people, and payments are due at signup, not at the door. Please leave all details needed to schedule your Paint Party event. You have a choice of requesting a local brewery, one of our studio locations in Oceanside, or in your own home! 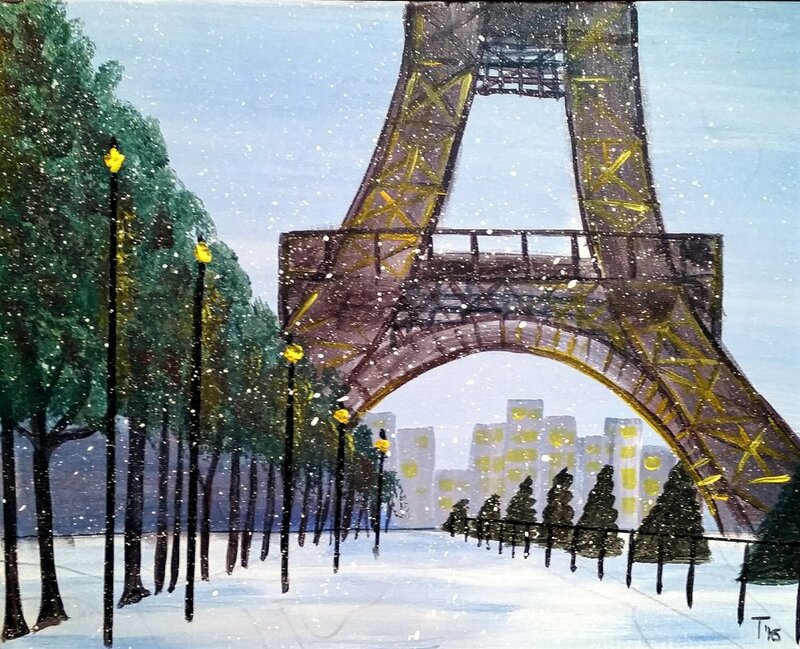 Looking forward to painting with you! Let’s Get This Party Started! 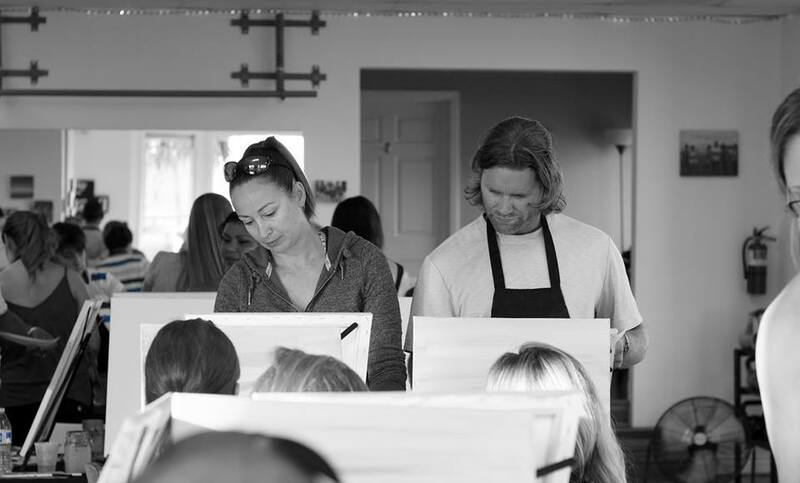 Looking forward to painting with you! 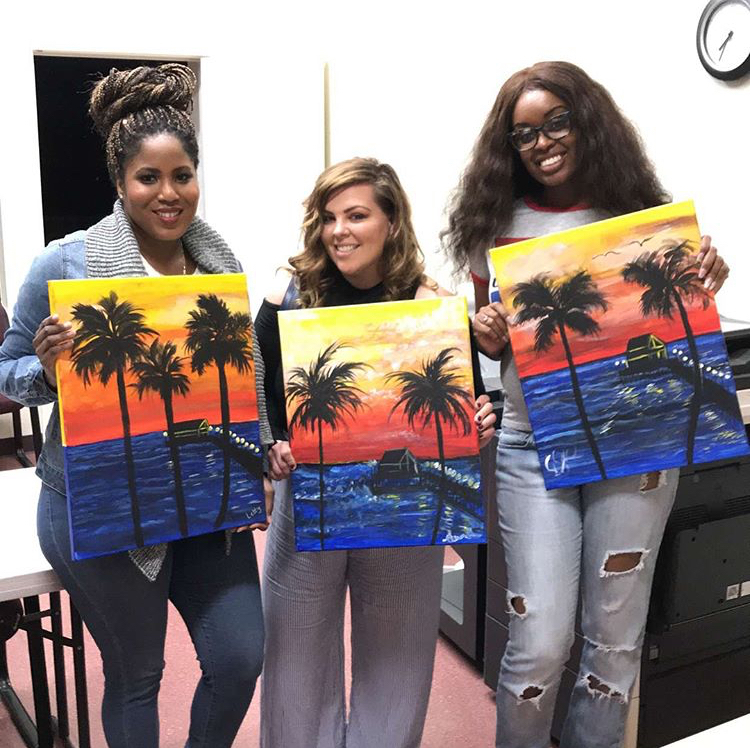 I Teach, You Paint, We Sip! 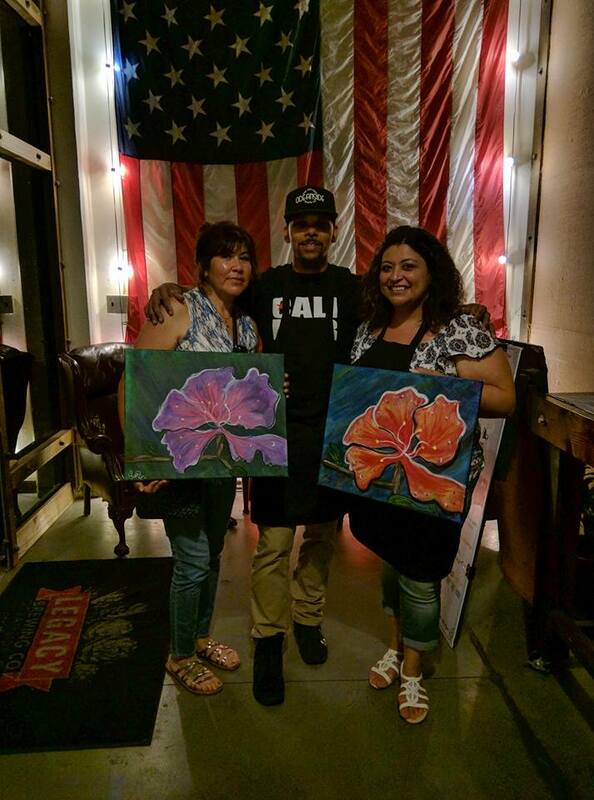 All purchases of goods and services from San Diego Paint Parties & Timothy Cunningham Fine Arts are final. No refunds or returns are granted. Before booking your special Paint Party or Commissioned Work. Be sure of your choice, and let's get excited for what's to come! It is our pleasure to be your artist!